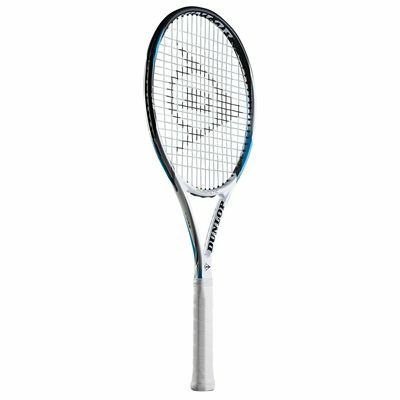 The Dunlop Biomimetic S2.0 Lite is best suited to intermediate players with long swing styles who seek a frame that can provide them with ultimate control ensured by a completely new frame geometry as well as a combination of a 95in2 (613cm2) head and thin parallel beam. The S2.0 Lite weighs only 295g (10.4oz) and is head light balanced for improved manoeuvrability. It incorporates an open 16x19 string pattern that helps generate more spin and ensures a more solid feel on shots. The frame is supplied strung with the Silk string for great playability. It is constructed from premium graphite and Biofibre that delivers a cleaner and more solid hit when compared to conventional all composite frames. for submitting product information about Dunlop Biomimetic S2.0 Lite Tennis Racket We aim to answer all questions within 2-3 days. for submitting product information about Dunlop Biomimetic S2.0 Lite Tennis Racket. We aim to answer all questions within 2-3 days. If you provided your name and email address, we will email you as soon as the answer is published. for submitting product review about Dunlop Biomimetic S2.0 Lite Tennis Racket.